SINGAPORE - Singapore Post (SingPost) will be celebrating the nation's first Olympic gold medal with two commemorative postmark designs. The postmarks will be imprinted on most stamped letter mail from Aug 16 to 31. SingPost stated that individuals who wish to collect the special postmarks should ensure that their mail items are of good quality and should use standard sized, light-coloured envelopes. The unique designs are based on Joseph Schooling's landmark achievements at the Rio Olympic Games. Schooling brought home Singapore's first gold medal after finishing first in the men's 100m butterfly final, beating swim king Michael Phelps with an Olympic record time of 50.39 sec. The win also makes Schooling the first South-east Asian male swimmer to attain a gold medal at the Olympic Games. 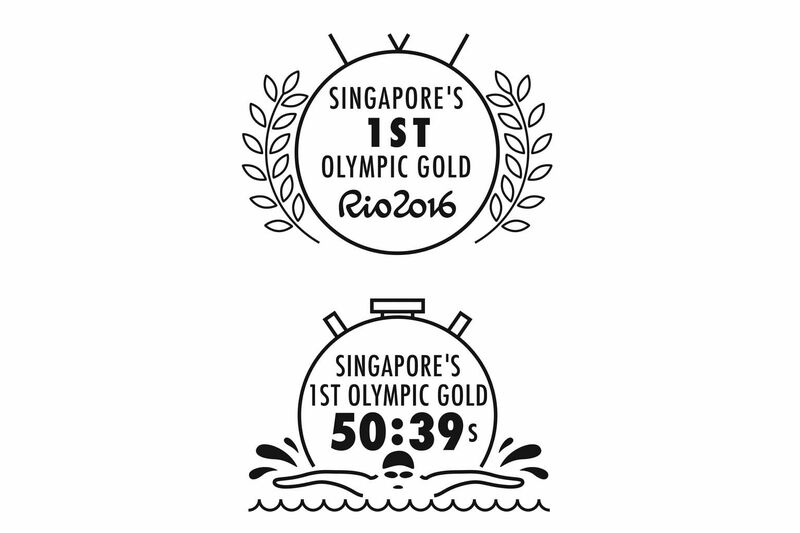 In honour of the Olympic gold medallist, one design will feature a gold medal with the title "Singapore's 1st Olympic gold", while the other will be a timer with Schooling's Olympic record finishing time on it. "This is a historic and proud moment for Singapore. We celebrate Singapore's first Olympic gold and the determination, discipline and dedication that have made Joseph Schooling Singapore's stamp of distinction. Congratulations, Joseph!" said Mr Woo Keng Leong, CEO (Postal Services), SingPost . The special postmark designs from SingPost are one of the many acts of appreciation shown to Schooling on his warm welcome home. He had previously received one million KrisFlyer miles on his flight back to Singapore from Rio, and was honoured in Parliament on Monday (Aug 15).